A few years ago I owned and operated a data transcription company. 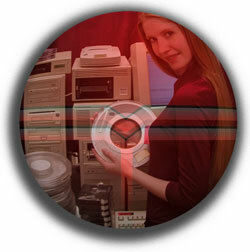 It provided the service of copying old and outdated 9-track tapes to CD. It was a small company with only 4 employees and a few machines. But it had big clients. The tapes contained seismic data which oil companies used to determine whether there is oil in the ground. Clients included Shell, Exxon and BP. These clients did not come easy. It was a year before any of them even picked up the phone. Me: Hello, this is Roman . Can I speak to Mr. Smith (the data manager). Secretary of Mr. Smith: Can I tell him what it is regarding. Me: I represent TMT – a data transcription company. I want to discuss with Mr. Smith data transcription services we provide that I believe he would be interested in. Secretary: Unfortunately Mr. Smith is in a meeting. Can you please give me your contact information and he will call you back. I give my contact information and waited for a phone call that would never come. Variations of this happened everyday, many times a day, for the first year. Running your own business has many perks. You have heard them all before. Be your own boss, work whenever you want to, pay yourself what you deserve, profits go in your pocket. These are the positive virtues. But there is a major aspect of owning your own business that is usually left out. Relentless, unbashful, almost arrogant self promotion. Trying to convince complete strangers that you are what they need. That only you provide a special service they cannot get anywhere else. You are special. Use me – I am the best. As an employee you rarely need to promote. You simply turn dials, punch keys and pull levers. You do not need to persuade anybody that you work for the best damn company in the world. But if you own your own business you constantly need to convince people that your company is the best. And indirectly, since you own the company, you are the best. When you finally break past the secretary and have the attention of a manager the selling begins. Hello Mr. Smith, let me list the ways why I am the best, why you need me, why only I can provide what your need. Self promotion makes you feel dirty inside. Because you know it is not true. The competition is very similar to you. Basically the same service, the same product, the same prices. Actually you are aware of faults in your business. You see it from the inside. Half the machines are in dire need of repair and the service level needs improvement. But that is not what you tell the potential client. To the potential client you paint the perfect picture – every brush stroke a work of genius. But it has to be done. Promoting your website requires convincing people to visit your website. In a forum post you answer a question and then at the end of the answer you have to write: By the way, I have a great post about this topic – click here to read it. Or you send out emails to subscribers stating how you have found some amazing information that they need to know about – visit my website for more details. You make a comment on a blog: Great post, I make a similar point on my blog – click here to see. Always promoting. Me, me, me. Everybody look at me. Its a necessary evil. Most likely your post is not the best, your website is not the best. The visitor does not need it. Without your website the world would not end. But that is beside the point. To increase your traffic you need to self promote. Convince people to visit your website. Make yourself look better then you really are. Comb your hair, tuck in your shirt, smile and to anybody who will listen say: I look good don’t I – come visit my site. The good news is that the dirtiest type of self promotion must only be done at the beginning. At the beginning nobody knows who you are and what your peddling. But as time goes on and the word spreads you can tone down the self promotion. Others will promote your website for you. They will link to your website, they will tell their friends. They will say: look at this guy – he is the best. Unfortunately I am still at the beginning. Still self promoting. Everybody look at me.